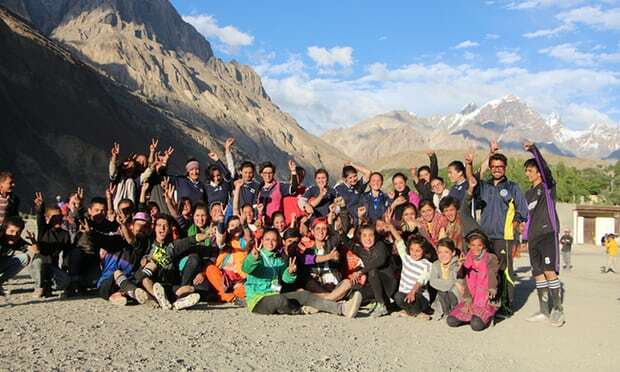 While the Northern areas of Pakistan are famous for their scenic beauty and rich cultural diversity, a small village named Shimshal in Hunza Valley is famous for women’s football, a development that is more or less inspired by the efforts of a single family. 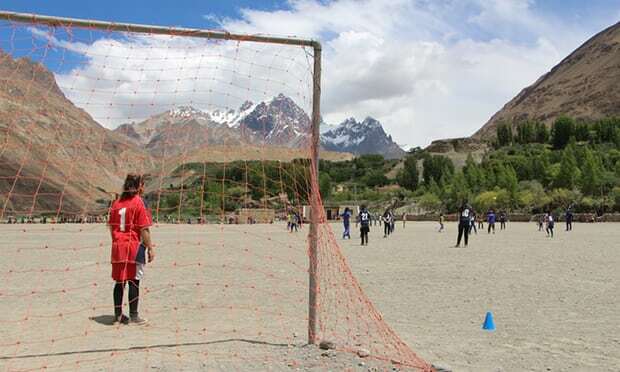 Despite a population of only 2000 people, a large number of girls play football on the dusty pitches of this 3800m high village above the sea level. Karishma Inayat is a girl who hails from Shimshal village, but she moved to Lahore with her family to continue her studies. Despite leaving the village, she and her family have close affiliation with their village. Her father had the passion to get the children of his village educated, therefore he brought kids to Lahore where they could study. Karishma’s father took her and her two sisters to the football fields in 2012, and despite having more interest in cricket, they never looked back. “We played for two or three clubs before joining a national-level club. We played so many national-level games for them and then in 2016 I and my sisters went to Dubai to represent Pakistan in the Jubilee Games”, she says. Meanwhile, her brother and a cousin introduced football to the girls in Shimshal. In the first tournament, more than 70 girls took part, which was a promising start to their efforts. The most obvious obstacle was the social pressure; however, they took it as their motivation instead of getting bogged down. Karishma believed that a platform for such girls would help them to showcase their hidden talents. Young girls and Krishna’s family set out to develop ‘Al-Shams Women FC’, however, they could not get a sponsorship despite presenting their idea in an event at the US Embassy, Islamabad, and even local businesses. ‘How could girls in the north play football?’, was their reaction. The obstacles like logistics and lack of opportunities to participate in regional and national level games need to be dealt with. Everyone chipped in with whatever they could donate to buy the kits and the gear for the practice. The parents want their daughters to play the game and combat against the practice of early-age marriages. They believe that football can serve a good purpose in their lives as these girls look to move beyond the valley. Karishma aims to take the girls to other places and compete with football clubs. The efforts made by Karishma and her family are simply remarkable. Changing the lives of people in remote areas of Pakistan is truly a wonderful initiative and more such initiatives need to be introduced to change the perception of Pakistan in the international circles. Well done girls. Here you go. Please mention Suzanne Wrack as photography credits.